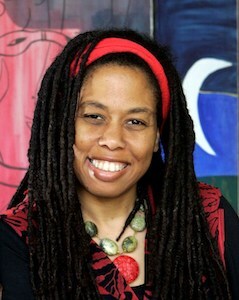 Karen Mack is founder and Executive Director of LA Commons, an organization dedicated to promoting Los Angeles’ diverse neighborhoods through locally based, interactive, artistic and cultural programming. LA Commons has implemented community art projects, tours and classes in communities throughout LA and in partnership with organizations such as the Central American Resource Center, the South Asian Network, Thai Community Development Center and UCLA. The organization has also partnered with the National Endowment for the Arts, LA Dept of Cultural Affairs, LA County Arts Commission and organizations from around the country to implement and document effective, community based creative place making programs. Prior to work with LA Commons, she served as a Public Service Fellow at the John F. Kennedy School of Government at Harvard University where she researched the role of culture in community building. Her appointment at Harvard followed work as the Vice President, Program Development and Planning at Community Partners. She holds an MPA from Harvard University and an MBA from the John Anderson School of Management at UCLA. She is a past president of the board of the Los Angeles Neighborhood Initiative and of the City’s Board of Neighborhood Commissioners.